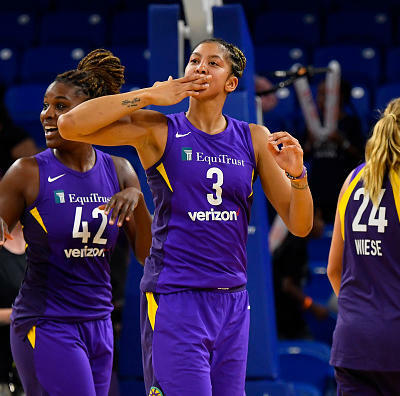 Steve Pimental provides the best DFS plays and optimal lineups for Tuesday's five-game WNBA slate. Much like Sunday, Tuesday’s schedule has been impacted by quite a few injuries. 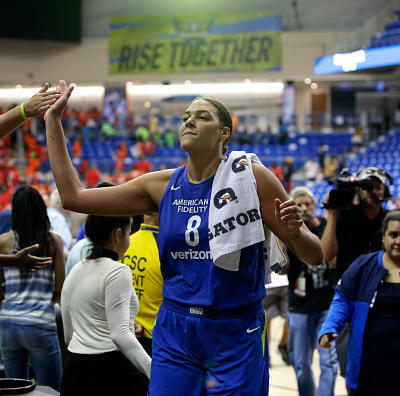 The biggest, of course, is Liz Cambage’s concussion. Her absence opens up touches for her teammates, but she would be a strong play herself if she is able to go. The Wings are fighting for a playoff spot and they changed coaches on Sunday, so everything about that team appears to be in flux. While there are quite a few players I like in Tuesday’s slate, there are far fewer who I really feel great about for cash lineups. 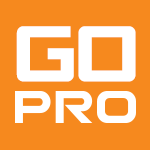 I always play my cash lineups in at least one tournament, and that will be the case again Tuesday, but if I were to label my GPP lineups “Cash” and vice versa, I’m not sure that anyone would object too much. Even if my cash lineups are a bit riskier than I would like, most of the risk is in cheap players who won’t hurt me much even if they don’t produce. Sylvia Fowles, F, MIN $ 8,600 $ 12,800 Sylvia Fowles is averaging 44.5 fppg on DraftKings in home games this season. 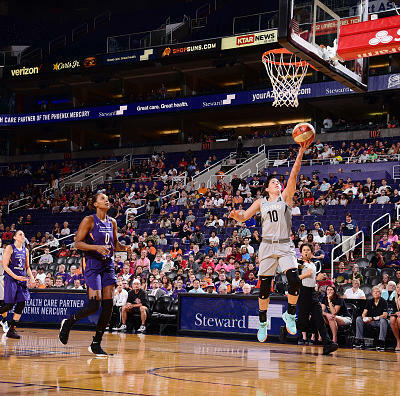 She has scored at least 38.5 fantasy points in each of her last five games. 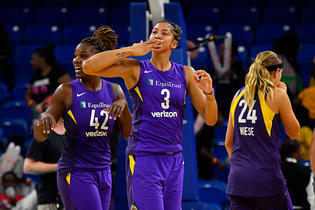 Candace Parker, F, LA $ 8,500 $ 12,700 Parker has scored at least 38 fantasy points in nine consecutive games, including 41.5 fantasy points at New York last week. 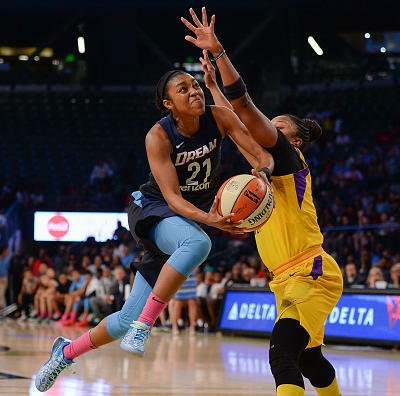 Alyssa Thomas, F, CON $ 7,800 $ 9,200 Thomas is averaging 15.5 points, 6.5 rebounds, 5.0 assists and 1.0 steals against Dallas this season. 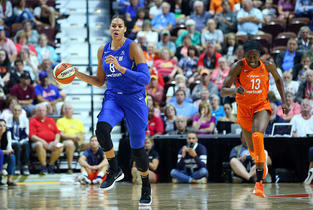 Skylar Diggins-Smith, G, DAL $ 7,700 $ 10,700 Skylar Diggins Smith has at least 21 field goal attempts and a 27.7 percent usage in each of her two games with Liz Cambage out. 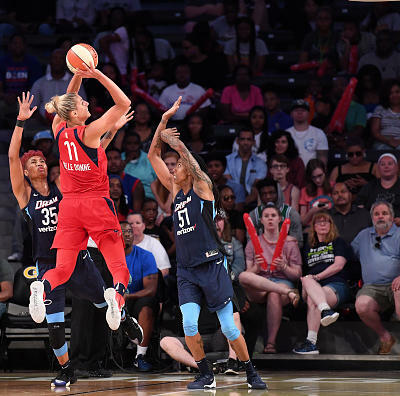 She shot just 23.8 percent Sunday, but still finished with 31.25 fantasy points on DraftKings. That appears to be her floor with Cambage out, though there is a chance she plays fewer minutes now that head coach Fred Williams is out. Nneka Ogwumike, F, LA $ 7,600 $ 9,300 Since she returned from her illness, Ogwumike's only 30+ fantasy point game came against the Liberty. 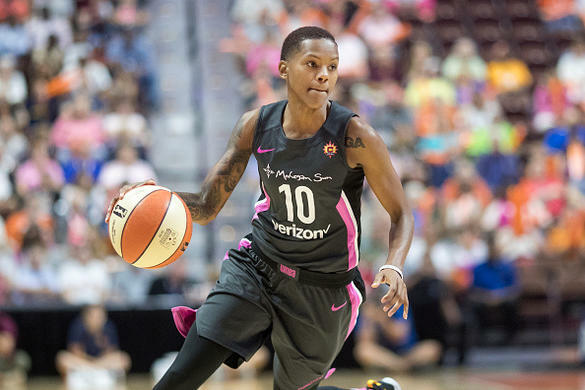 Courtney Williams, G, CON $ 7,200 $ 9,000 Williams is averaging 28.7 fppg at home on DraftKings this season, and she averaged 31.6 fantasy points in two road games against Dallas this season. 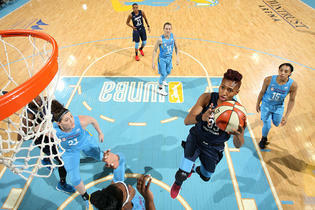 Glory Johnson, F, DAL $ 7,000 $ 6,800 Glory Johnson finally started at center Sunday, but she only played 17 minutes. 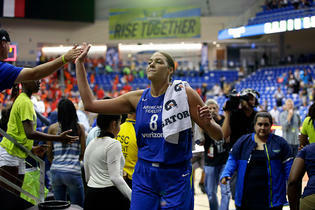 We can only hope that a new coach will make better use of one of Dallas's best players, but at least her price is low. 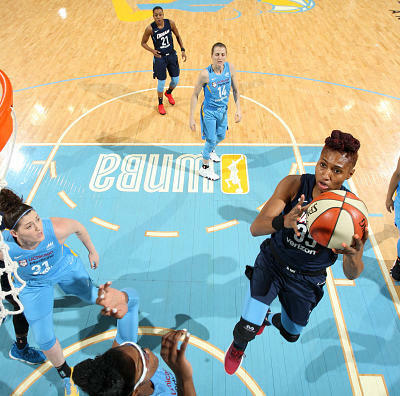 Cheyenne Parker, F, CHI $ 6,300 $ 5,500 Parker's price is down on DraftKings after she has struggled in her last two games, but she is averaging 8.0 points, 5.0 rebounds, 1.0 assists, 1.0 blocks and 1.0 steals in 21.1 minutes per game against Minnesota this season. 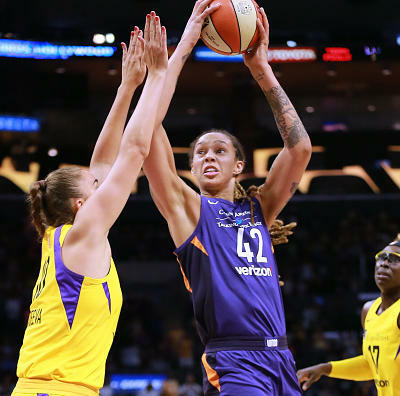 Seimone Augustus, G, MIN $ 5,200 $ 4,700 There are a few players Tuesday who cost significantly less on DraftKings, but Seimone Augustus may be the most puzzling. 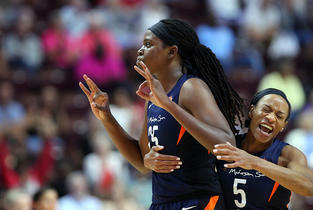 She has played at least 26 minutes and scored at least 10 points in four consecutive games. 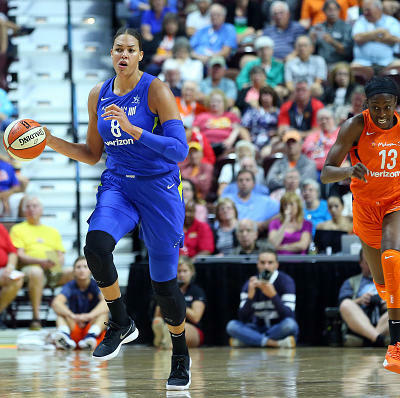 Kia Nurse, G, NY $ 4,400 $ 5,200 Nurse started again Sunday with Shavonte Zellous and Epiphanny Prince out, but she took a back seat to Bria Hartley and Rebecca Allen, who both played well off the bench. 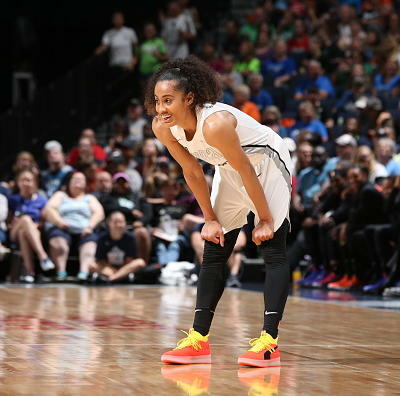 Nurse is still averaging 11.0 points, 3.6 rebounds, 1.6 assists and 2.0 steals in 28.0 minutes per game as a starter this season, and she is a GPP play at least if she starts again. 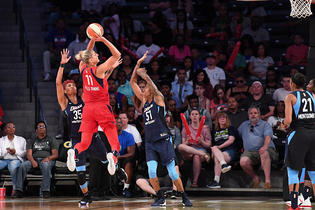 Cecilia Zandalasini, F, MIN $ 3,700 $ 4,300 Zandalasini has played at least 23 minutes in each of the last three games with Rebekkah Brunson out, but she has shot 1-13 in her last two games. 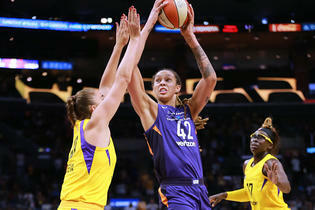 That probably can't continue, and it is encouraging she had 11 points against Chicago a week ago. 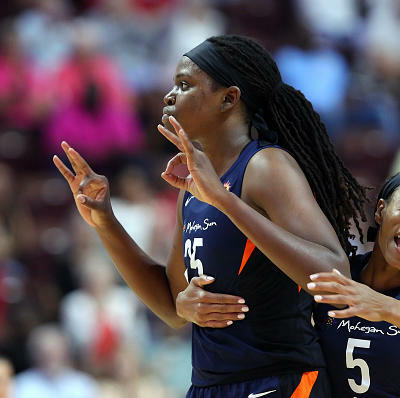 Tanisha Wright, G, MIN $ 3,600 $ 4,500 Wright has played 34+ minutes in each of her last two games, even with Lindsay Whalen returning Sunday. He averaged 9.5 points, 4.5 rebounds, 5.0 assists and 2.0 steals in those two games. 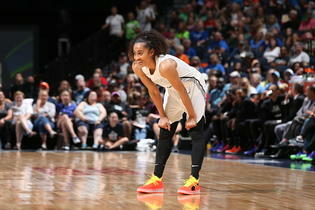 Rebecca Allen, F, NY $ 3,200 $ 4,200 Allen has scored at least 19 fantasy points in each of her last two games. I would probably like her better if Marissa Coleman was still out, but she is worth the risk at this price.